New Price! Very few opportunities like this ever come along in Heathrow! This is the type of deal your friend brags about at the cocktail parties! This fantastic pool home is located in Regency Green in the amazing Heathrow Community. The home has great bones with concrete construction, tile roof and is ready for you to put on your finishing touches to make it your own! 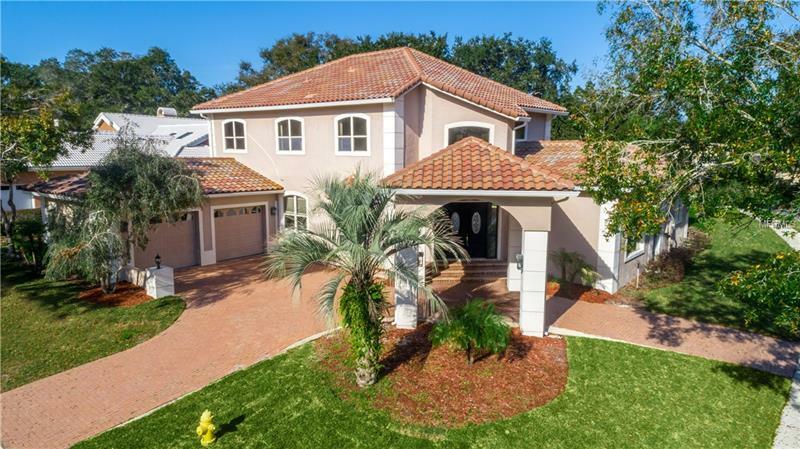 Heathrow is a 24 hour guard gated golf community with so many amenities and you are located just a short golf cart ride from the Heathrow Country Club. Your new home is fabulous for entertaining with many windows to let in an abundance of natural light, 2-story high ceilings in the living and family room areas, large outside patio to relax around the pool and a circle drive for your guests to pull up under the portico. You'll enjoy the privacy out back with the block/stucco walls enclosing the rear yard. Inside you will find plenty of space for everyone with 5 bedrooms, 3.5 baths, a huge master suite, formal dining room, office/den off the family room, all bedrooms are good sizes and an upstairs bonus room which is great for a play room or a private get away sanctuary. Interior features include granite counter tops in the kitchen, spiral staircases, fireplace and dual zoned HVACs. You have great public schools in the highly rated Seminole County School District and easy access to I-4, 417 and Seminole Town Center. This is a Fannie Mae HomePath property. Call today for your private showing.